Winter is here! And winter always calls for warm, comforting soups. 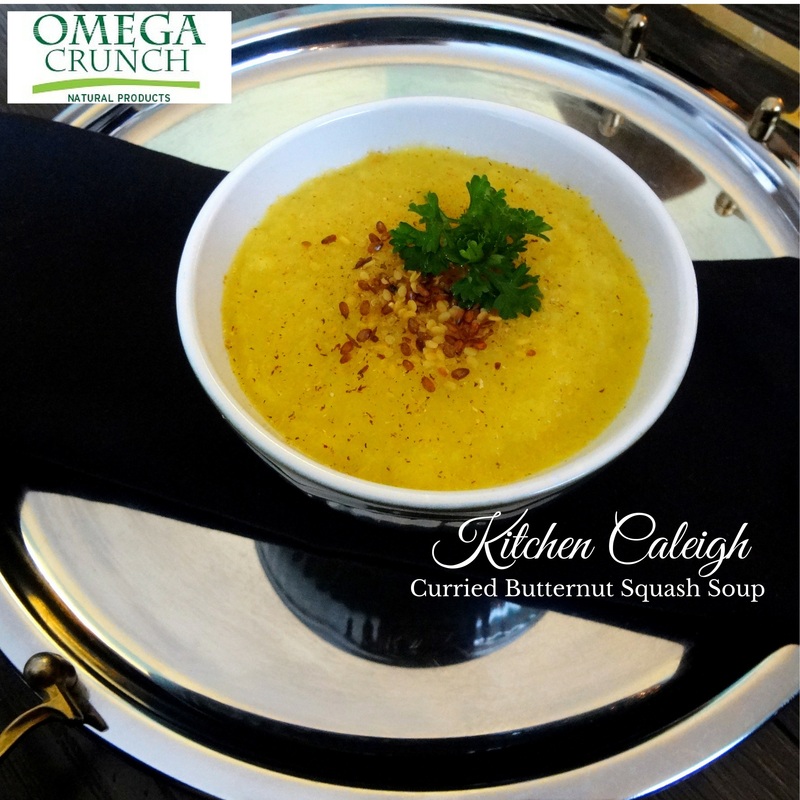 This butternut squash soup is smooth, creamy, and lightly curried... perfect for a chilly night. Sautee the onion in the olive oil, in a medium pan, over medium high heat until the onion is translucent. Add the squash to the pan and stir until warmed through. Add the cooked onion and squash to a food processor and pulse on high until pureed. Transfer the squash/onion puree to a large saucepan, over medium heat. Add the chicken stock, nutmeg, curry, salt, and pepper and stir until well combined. Simmer for 20 minutes. (If soup is not smooth enough, return it to the food processor and pulse on high until it reaches desired consistency.) Top with roasted garlic shelled flax. *For an extra creamy soup, stir in some coconut cream! » Check out this Pizza Crust - From Kitchen Caleigh's Book "How Food Changed My Life"